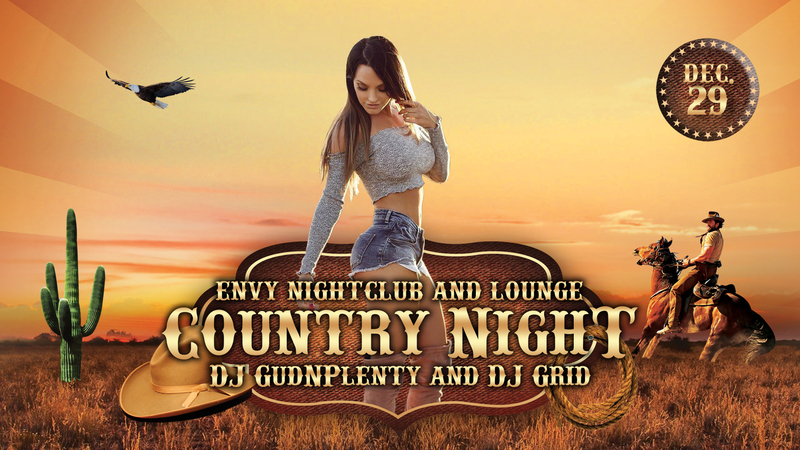 Get ready as DJ GudNPlenty and DJ Grid bring the BOOT SCOOTIN, BOOTY SHAKIN COUNTRY JAM to Envy Nightclub and Lounge! Playing ALL your favorite country jams from the classics, to the top 40, to CRUNKtry dance remixes, and country music videos, as well as ALL your on the spot country requests! So grab your girls, grab your partner and swing on down cause the bad boys ’round here are bringing Mesquite a night you WON’T want to miss! Message Envy Nightclub to reserve your VIP table or lower table now! SHARE & INVITE YOUR FRIENDS!